Throwing a spectacular celebration is something the Sardinians are very good at. Here’s our round-up of some of our favourite Sardinia festivals and events in 2018. A colorful parade passing through the streets of Cagliari and surrounded by beautifully dressed attendants wearing the traditional costume of their town or village. Read more about this exciting event on our blog, Festa di sant'Efisio. One of the most important events in Olbia, the ‘Festa di San Simplicio’ honours the town’s patron saint. 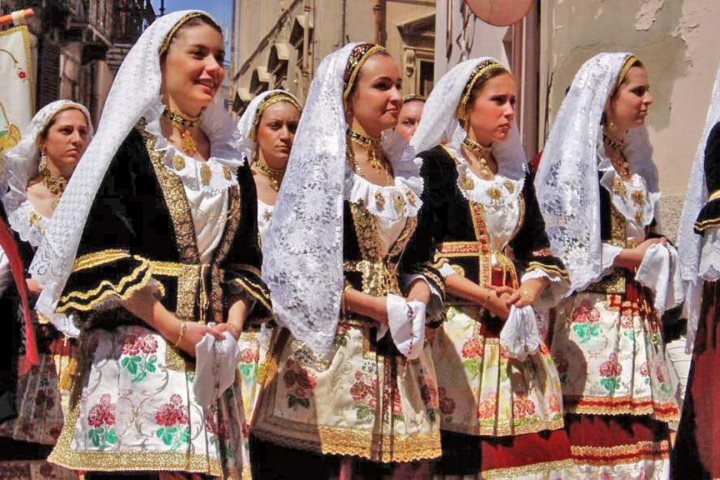 The festivities include costume parades, poetry and songs in the Sardinian language, as well as local gastronomy. The firework show is not to be missed! Read more about this event on the blog, My Sardinian Life. The Festival of Beauty, held in Sassari and organized to celebrate the visit to the city by Umberto I in 1899, is a parade of some 3,000 people, all dressed in traditional costumes alongside hundreds of horsemen and women. Following the morning parade, a daring horse race takes place and, in the evening, traditional songs and dances take place in Piazza d'Italia. Discover more here. An international culinary competition held on the island of San Pietro in the south-west of Sardinia where gastronomes promote the local ancient tradition of the 'tonnare' (tuna traps). As well as a range of delicious tuna-based dishes, including Japanese cuisine, visitors can also enjoy wine, live music, arts and crafts at this event. Read more at girotonno.it. 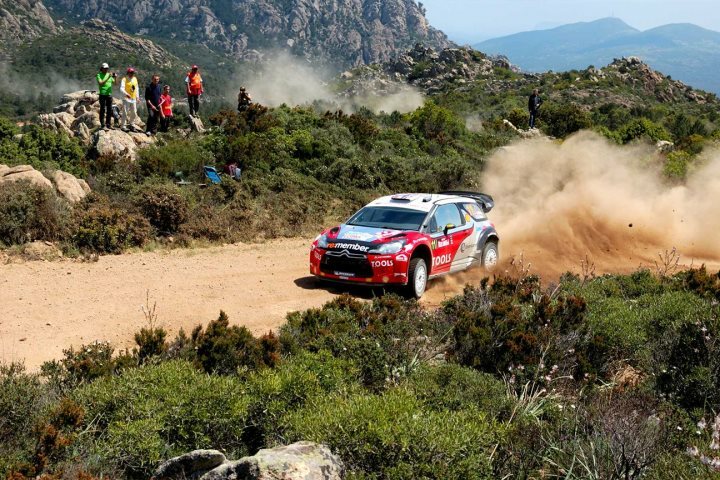 The Italian round of the International Rally WRC will be held once again, for the fourth year in a row, in Sardinia this June. Find out more at rallyitaliasardegna.com. The 2018 edition of the ‘Rally Parco Geominerario’ will take place across the old mines and industrial sites of the province of the Medio Campidano and the villages of Arbus, Guspini and Montevecchio. Discover more at arbus.it. The festival of St. John the Baptist, to celebrate the summer solstice, is held each year in Alghero. On San Giovanni Beach, the festival celebrates the bonds of friendship with its famous fires (called focs in Catalan). Friends, who must be dressed in white, are invited to seal their friendship by jumping the fire on the beach. Discover more about how the summer solstice is celebrated around the island on our blog, San Giovanni Battista Festival and its ancient magic rituals. The national beach soccer teams of Brazil, France, Italy and Switzerland will compete in the first ‘Trofeo Città di Alghero’ for three days. Read more at alguer.it. A wild horse race in honour of Saint Constantine takes place every year on 6th July and is repeated on the morning of the 7th. This race, consisting of 100 riders, is held in remembrance of the battle of the ‘Milvian Bridge’ between Constantine and Maxentius. Discover more at santuantinu.it. Sting will perform in Santa Margherita di Pula (Cagliari province) in the Forte Arena, the open-air theatre of Forte Village Resort. Find out more at sting.com. Berchidda (located in the province of Sassari) and the neighbouring villages are hosting the most important Jazz event in Sardinia, and one of the most important in Italy. This is the 31st edition of the festival: a lot of special guests are attending, including Andy Sheppard, Chicago Art Ensemble, Markus Stockhausen and more, and the festival is coordinated by the founder Paolo Fresu. Find out more at timeinjazz.it. A parade of ‘Candelieri’ (candle bearers) carrying huge candles representing the different Sassari districts that they belong to. This is a huge and popular event held in Sassari. Read more about it in this blog post, Descent of the Candelieri. The Feast of the Redeemer is a traditional festival held in Nuoro on the last Sunday of August. This, the 118th edition, will see a mix of religious and folklore events including spectacular parades of traditional Sardinian masks and costumes. Find out more at eventsagre.it. A popular event where 32 Sardinian villages (among them Bitti, Oliena, Dorgali, Fonni) take turns in opening their doors to tourists who want to explore the history, the culture and the most authentic traditions of the island. You’ll find a complete list and dates of participating villages, here. 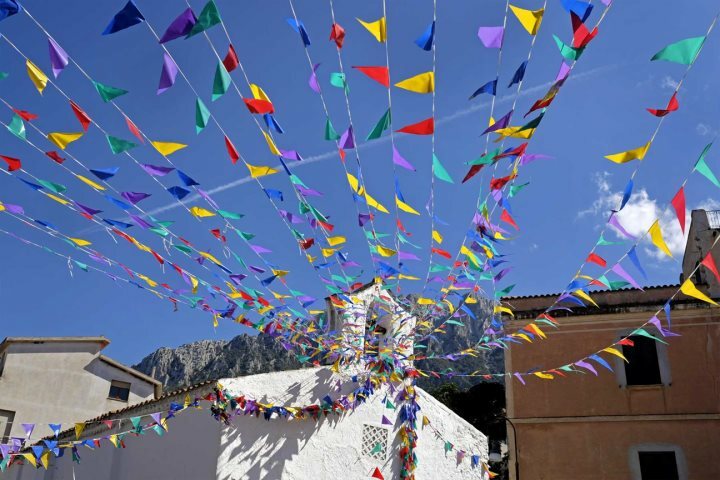 The feast of ‘Sant Miquel’ is celebrated each year during the last weekend of September with a 12-day festival in honour of St. Michael, the patron saint of the city. This celebration used to mark the culmination of the summer season in Alghero. Today, it’s a must-see event for visitors, with games, music, arts and crafts and a spectacular fireworks display on the last evening in the port. The popular time trial car race, now in its 57th year, takes place at the end of October. The 5km race starts in Alghero and ends in Villanova Monteleone in the province of Sassari. Both vintage and new cars take part. Find out more at scalapiccada.it. 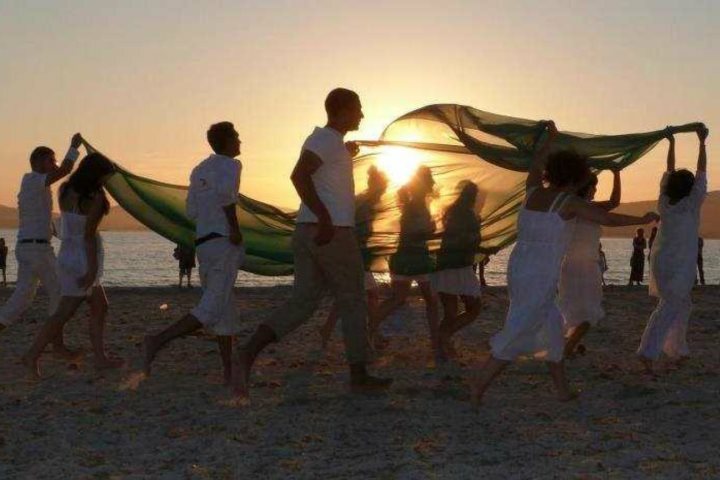 For more information about festivals and events on Sardinia visit our blog, sardinianplaces.co.uk/blog.